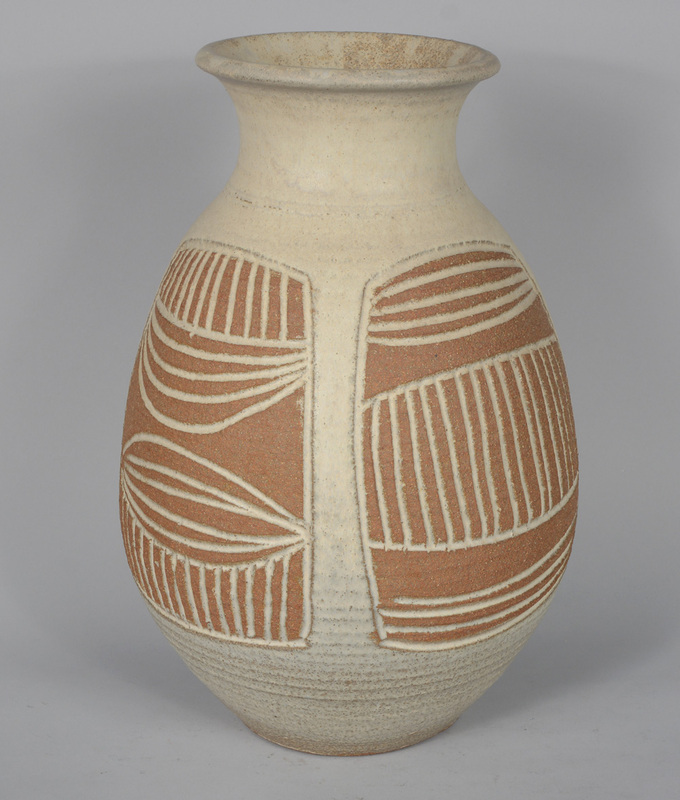 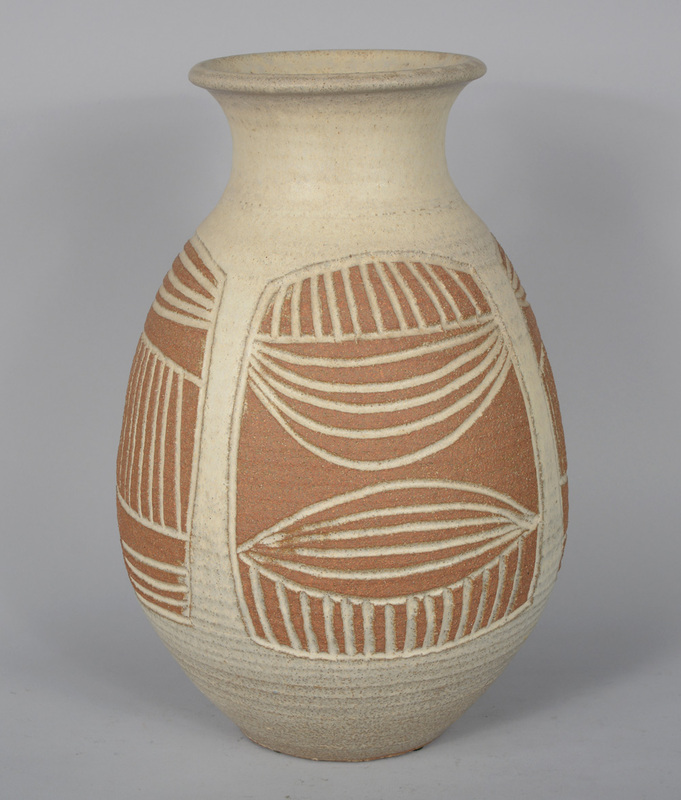 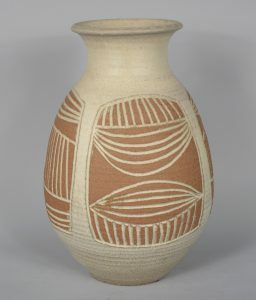 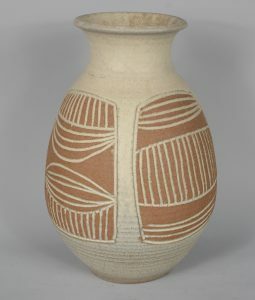 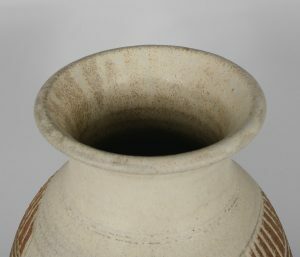 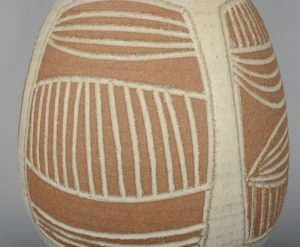 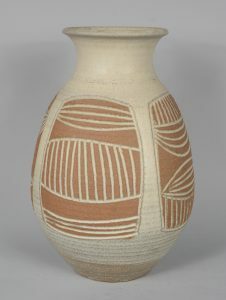 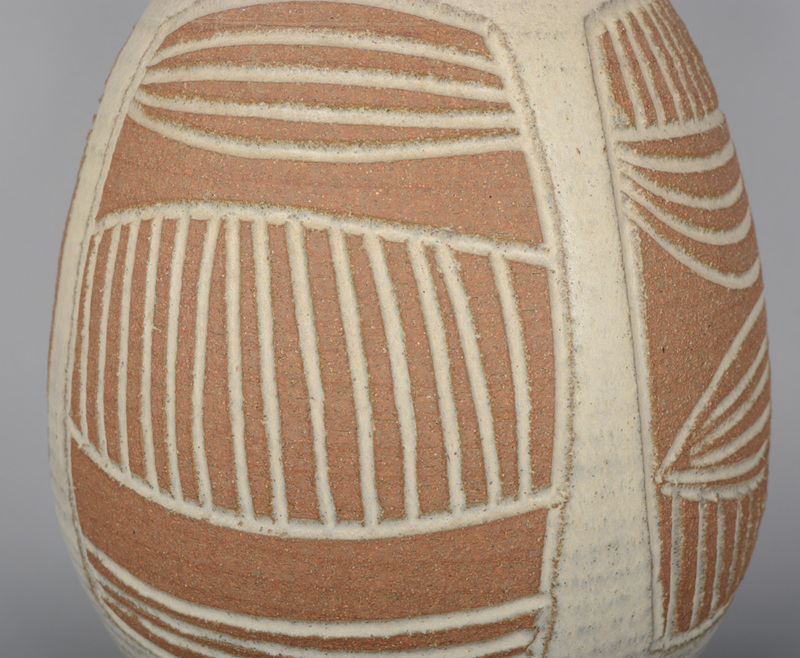 Large scraffito vase by James Wishon. 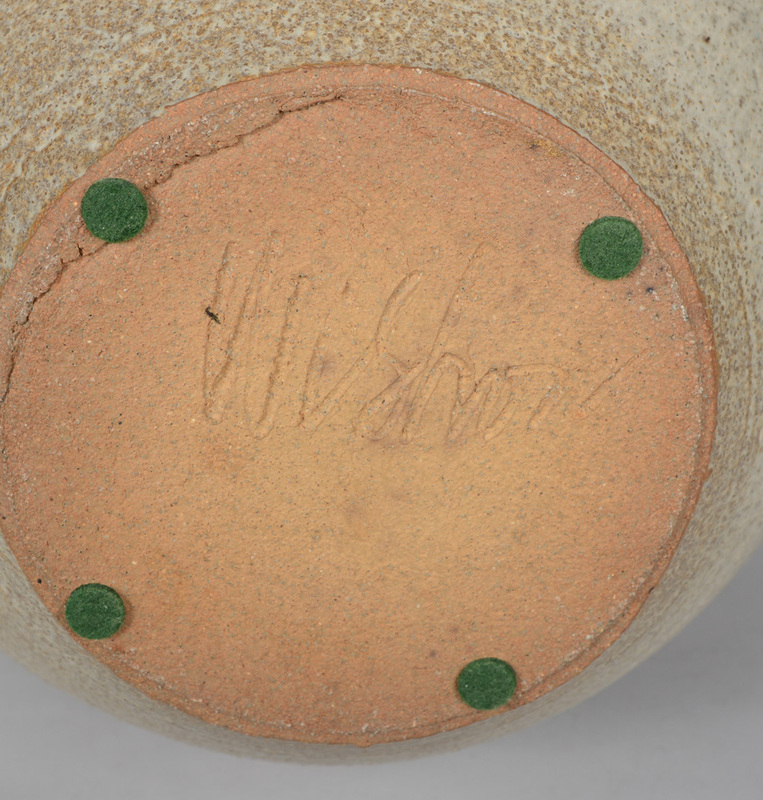 This was probably done while he was at Willet Studios, before 1971. 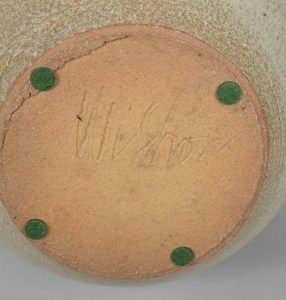 James later formed a partnership with Jerry Harrell who was also at Willet Studios. 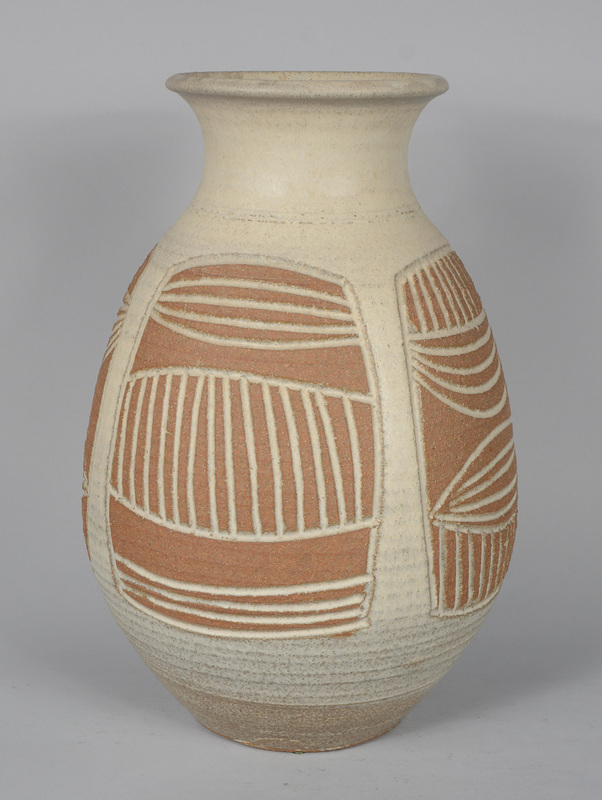 13.5″ high x 9.25″ diameter.